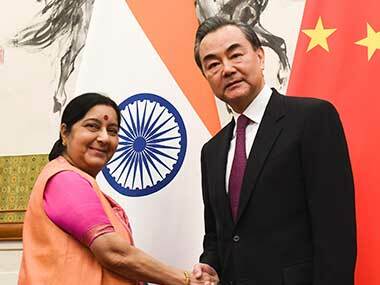 External affairs minister Sushma Swaraj and Chinese Foreign Minister Wang Yi held a joint address in Beijing, where they announced that Xi Jinping and Narendra Modi will be meeting in Wuhan city in China to discuss bilateral ties. Swaraj arrived in China on Sunday on a four-day visit to take part in the foreign ministers' meeting of the Shanghai Cooperation Organisation (SCO). Before the joint statement, Swaraj held a meeting with Wang to discuss India-China ties. The meeting assumed significance as the last meeting between the two leaders in 2017 was after the military standoff in Doka La. Following the standoff, both countries increased dialogue to scale down tensions and improve relations with talks at various levels. 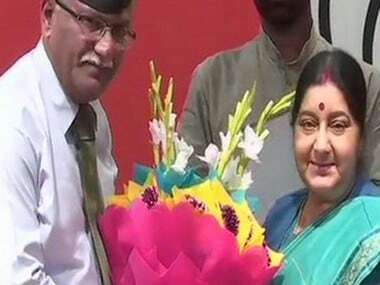 Swaraj and Wang held the meeting in the immediate backdrop of the recent meeting between National Security Advisor Ajit Doval and top officials of the ruling Communist Party of China (CPC) Yang Jiechi in Shanghai. At the presser, Wang said that India is a natural partner for China. He announced that Chinese President Xi Jinping and Prime Minister Narendra Modi will hold a summit meeting in Wuhan city in China from 27 to 28 April to improve bilateral relations. Modi will be visiting the central Chinese city for the "informal summit" at the invitation of Xi, Wang said. "We see socialism with Chinese characteristics entering a new era and India acts as a crucial stage in its development and revitalisation. It is against this backdrop that president Xi and Prime Minister Modi have decided to hold the informal summit," he added. This will be the fourth visit of Modi to China after he came to power in 2014. He is again due to visit China to take part in the Shanghai Cooperation Organisation (SCO) summit to be held at Qingdao city on 9-10 June. Regarding the SCO summit, Wang congratulated India for becoming a member of the organisation. 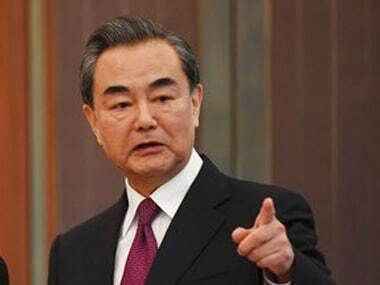 "On behalf of the Chinese side, I once again offer congratulations to India on becoming a member of SCO and express a warm welcome to the minister for representing India for the first time in the SCO foreign ministers meeting," he said. 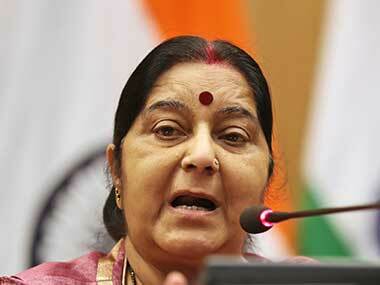 Sushma Swaraj also expressed "full support" from India's side to make the summit in Qingdao a success. Besides the informal summit and SCO, Swaraj said that the two sides agreed to work together on issues like terrorism, climate change, sustainable development and global healthcare. She also confirmed that the Chinese side has confirmed the resumption of data sharing on the Brahmaputra and Sutlej rivers, which will help people living in the area. "China has confirmed data sharing on Sutlej and Brahmaputra rivers in 2018. As it directly affects lives of people living there, we welcome this," she said. "Also, Kailash Mansarovar Yatra will resume this year through Nathu La pass," she added. The yatra was closed over tensions related to the Doka La standoff. Regarding the meet between Modi and Xi in Wuhan, Swaraj said that it would be a good opportunity to enhance mutual understanding and trust. "My discussion with minister Wang Yi was to prepare for the informal meeting between our leaders. It'll be an important occasion for them to exchange views on bilateral and international matters with the objective of enhancing mutual communication at the level of leaders," she said. "The informal summit will be an important occasion for them to exchange views on bilateral and international matters from an over-arching and long-term perspective with the objective of enhancing mutual communication at the level of leaders," MEA spokesperson Raveesh Kumar added about the announcement.